It's been an interesting few months. 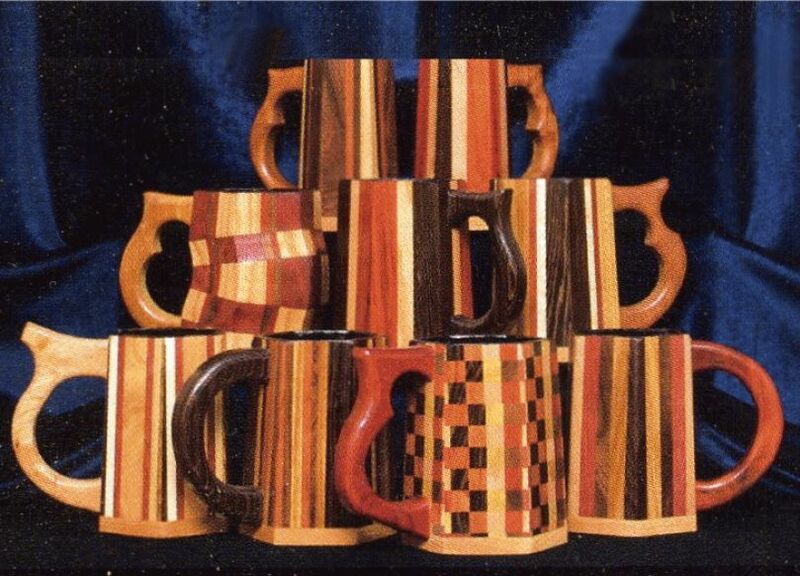 As some of you are aware, I quite happily gave up Don Lewis Designs, our tankard-making business, after 25 continuous years. Those years saw (and paid for) the birth of our children, the purchase of our home in Idaho, and the building of a lot of infrastructure for our homestead. But I finally got tired of all the shop time (especially the cold weather in the scantily clad tool shed). Fortunately, Patrice and I developed an online business that actually allowed me to hang up my shop glasses and multi-layered coats. 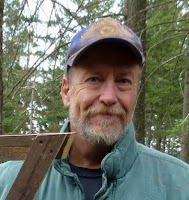 So about eight months ago, I notified all my customers of my business closure and settled down to a working retirement that happily kept me near the woodstove. However, nothing is forever and our major online employer was forced to downsize us. We saw it coming and managed to squirrel away some money, but certainly not enough to allow me to spend my days fishing on the lake. So I've been obliged to fire up the table saw again and re-open Don Lewis Designs. In the next week or so, we'll be placing some new wooden tankards up for sale here on a separate blog page. Clicking one of those pictures will take you to an off-site sales platform where you can use either Paypal or a credit/debit card to buy a wooden cup, should you desire. I hope you'll find something you like. I'll be adding more cups (and other things) as I get spun back up. I'd like to say "Buy a cup, it's for the children" – except my two kids have cleverly jumped ship prior to the course change. A smart move on their part, sure ... but I still have access to their local bank accounts. That is great news! I have 2 of your more standard designs but have lusted after one of your bent ones. I will wait with bated breath. I have been waiting to buy one for a long time. Let us know as soon us you have some for sale because I hope to get one for a Christmas gift. I've also wanted one for a while now. Keep us posted. Of course -- both for hot and cold beverages. They make great coffee cups. 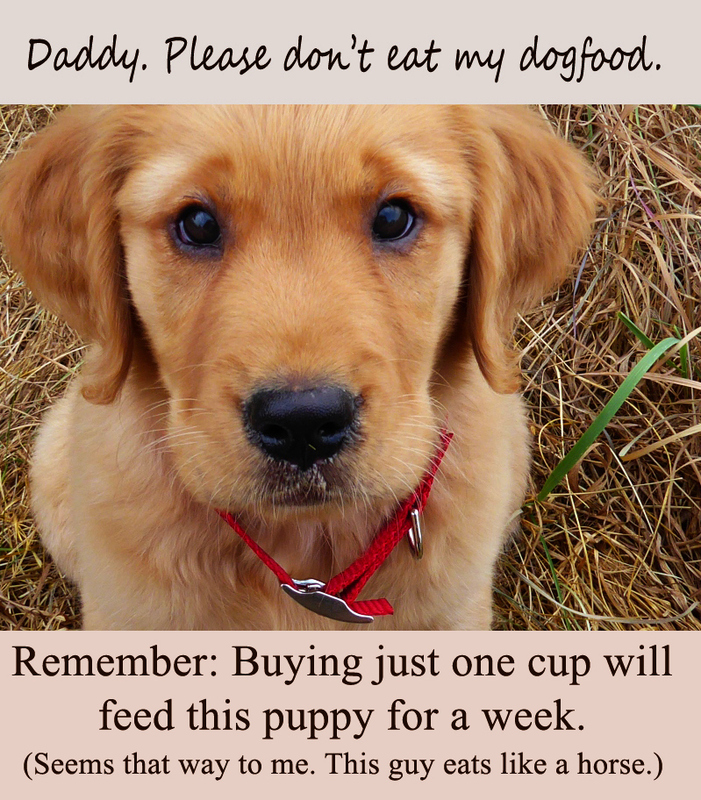 I love the dog picture! Glad to hear you are back making sawdust. You do beautiful work. That is one thing about winter, there is time to work in my woodshop. I am very blessed, my shop is well insulated, heat it with one of the double head heater mounted a propane tank. It is not a big building, only about 800 sq. ft.
You folks have a good weekend! In my part of Idaho, you will see a home and a shop next to it, both will have a chimney with active smoke. You really need to put in a small wood stove to help keep you toasty. Beautiful cups, I am considering one for my hubby, glad you are back in business. Welcome back Don. Love your designs and craftsmanship. A break from it was good I'm sure, but working in the shop is always therapeutic.. Welcome back.. I took a break from my rod and reel repair and custom fishing rod business which turned into a second full time job. Have a year and a half until I retire and I may start my business back up also just to cover my fishing and shooting habits LOL. 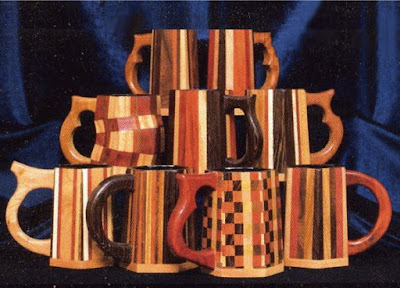 Dan, if you feel a little burned out of the mugs try some other products like cutting boards, trays, chess boards, etc. I've got a great design for a chess board but I don't have equipment anymore. Do you only do cups/mugs? I would love to have a bowl in a similar design. I apologize, my comment was cut off. I hope it went through. If not, I said I do not need wood mugs but would go crazy over cutting boards, kitchen utensils, trays, cake stands, book ends etc that looked like these mugs. I was finishing by saying I always thought I would love to see you make head boards, desk tops, kitchen cabinet doors or the worlds most beautiful countertops that look like your tankards. Time to invest in making the worlds nicest workshop if you are going to be in it. My best. How clever. Throw up a cute puppy pic. Love it. Lol. The link didn’t work for me, is it up yet? I’ve bought in the past and want to get my son one. I feel it is an insult to you and your years of Amazing work that he is doing this. He is also truly a very belligerent and rude person to boot. I suspect he’s belligerent and rude because he knows he’s lying about his business. Eh, we’re not too fussed. People with an attitude like that usually don’t make it in business for long.